Intended for the niche perfum enthusiasts from the Arabian Peninsula, a place in the world where the Arshia Collections have been always appreciated in a special way, the “Golden Taif Limited Edition” is named after the ancient city of Taif, still located in Saudi Arabia. Despite focusing on a different geographical district and not on the area of the Old Persian Empire, the idea behind Golden Taif still retains the core elements of the Arshia philosophy: the homage paid to an ancient city is a clear heritage of the Chapter I, dedicated to the three ancient cities of Kashan, Babel and Persepolis. Moreover, the main ingredient in this fragrance is the Rose of Taif, a variety of rose largely used and appreciated in the Arabian area, although its origins date back to the history of Persia, where it was cultivated even before being brought to the Balcans and finally to Arabia. 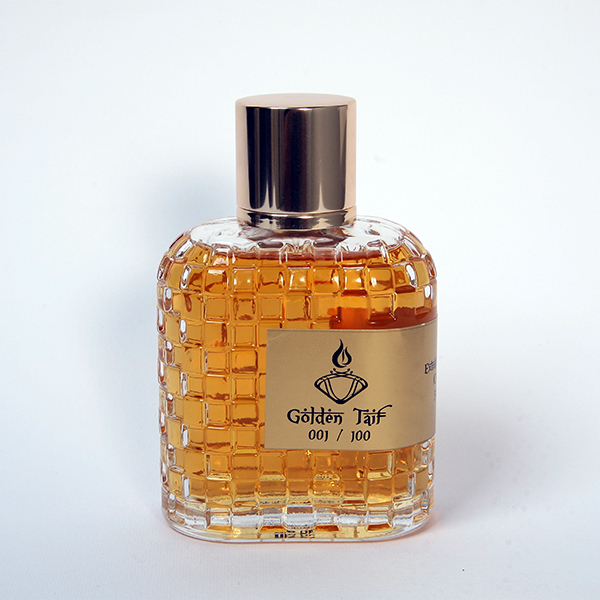 The Golden Taif limited Edition brings the high quality, the unique philosophy and the unmistakable style of Arshia Parfums to the Arabian world, a place in the world that has always meant a lot to us. The petals of a thousand roses from Taif ride the middle eastern winds, caressing those who love the most selected scents. It is from this delicate olfactive sensation, yet so powerful on the human soul, that the golden drops of this fragrance draw inspiration. The true essence of the Arabian atmosphere lives in a rare fragrance that keeps an ancient secret, revealing nothing more than the noble scent of it.